Linos Inn is situated in Old Kakopetria village, in the Solea Valley – approximately 50 km from Lefkosia (Nicosia) the capital of Cyprus, 50 km from Lemessos (Limassol) the 2nd largest town and 15 km from Mount Olympus, the highest peak of the Troodos mountains. 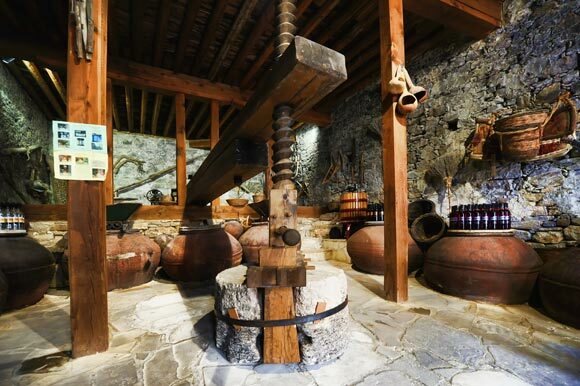 The term “linos” refers to the very old place where with very primitive methods, grapes were squeezed for wine making. 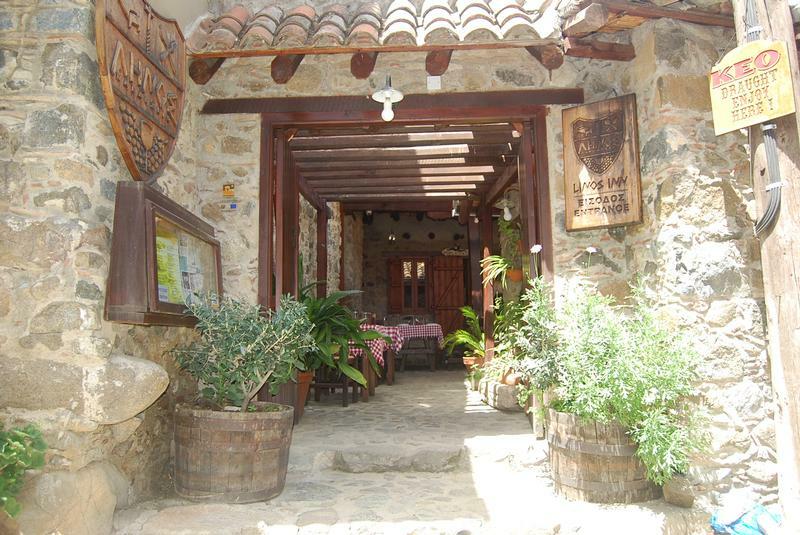 Because such “linos” were found in these old houses we restored, it was decided to name the inn “Linos Inn”. Linos Inn consists of various types of accommodation including studios, double-bed rooms and suites the “Linos Restaurant” offering international and cypriot cuisine. All rooms are fully air-conditioned and with old traditional furniture, balcony or veranda, central heating, bath and w/c, radio, refrigerator, fire place and balcony or veranda or Jacuzzi in most of the rooms. The studios are equipped with refrigerator, double Jacuzzi as well as all the facilities of the other rooms. There is also a sauna and a bar, a small garden and two verandas for exclusive use by our guests. You can enjoy FREE Wifi in all public areas and in most of the rooms.